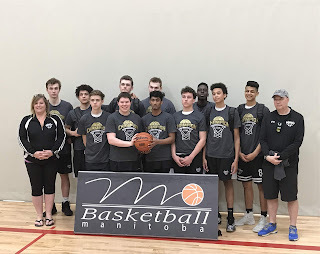 Kyler Filewich (2001 Jr Bison Boys) has dedicated years driving his way to the top ranks of the province’s basketball elite. 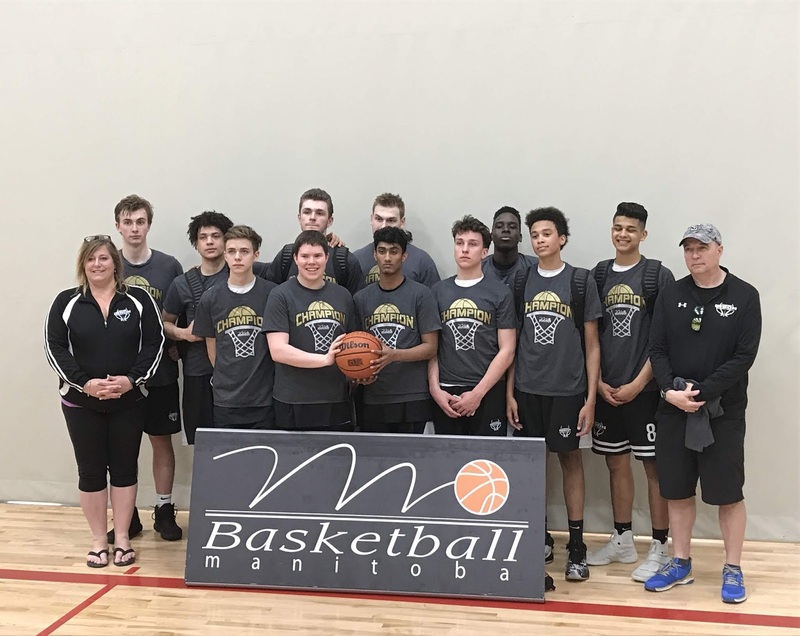 The sought-after Canadian prospect — who began playing community club basketball in Grade 3 — is now heading into his final year of high school, and his senior season with the Jr Bison Boys Basketball Club. Keeping his eyes on the ball — and on his future — he is excited for what comes next. A powerhouse player with serious interest from both Canadian and American universities and colleges, Filewich says a lot of different factors have contributed to his success: the coaches he has had, the teams he has played on, and his steadfast dedication to keep getting better. He also credits both his school and club coaches for the impact they have made: Vincent Massey Collegiate’s Nick Lother, A.A. Leach’s Adrian Jordan, and his mom — Arlyn Filewich, a former University of Manitoba Bisons women’s team player and captain and two-time provincial team MVP — who has been the coach of his 2001 Jr Bison Boys Basketball team for the past five years. The 245 lb player is known for his physical dominance on the court. Despite his size and skill, he had challenges to overcome, including getting cut from the Centre for Performance in Grade 7. He says that experience pushed him even harder to put in the long hours that have helped with his success. “(Being cut) motivated me to work extra hard to achieve my goals,” he says. 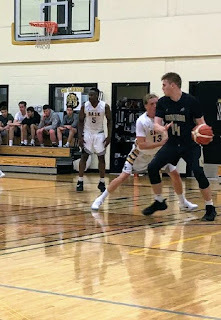 Basketball has taken Filewich to high-level tournaments throughout Canada and the U.S.; he played on the Manitoba provincial basketball team for four years in a row, and spent two years in Toronto with Under Armour’s Canada Elite prep team. Filewich’s personal highlights so far include winning the Junior High Provincials in Grade 8 for A.A. Leach; playing in the National Championships and Canada Summer Games and being picked to play in the Bio Steel Future All-Canadians All-Star Game in 2017. 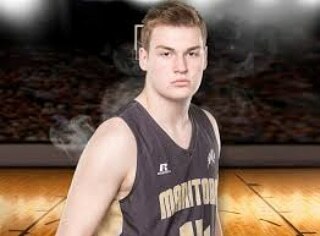 He was also recognized as the top high school athlete in Winnipeg in a poll of local coaches — when he was in Grade 11. Despite already having so much success, he keeps pushing himself to get even better. “I probably played one of my best games in Kelowna,” he says of the recent Western Canadian Basketball Tournament where he scored 36 points, had 25 rebounds, and 8 assists in one game. He sees himself playing professionally, whether it be basketball or football. The veteran Jr Bisons player knows that with skill and unlimited dedication, the sky is the limit. Providence is excited to welcome Demar Kraus to Pilots men’s basketball. Pilots men’s basketball season begins in 3 weeks. 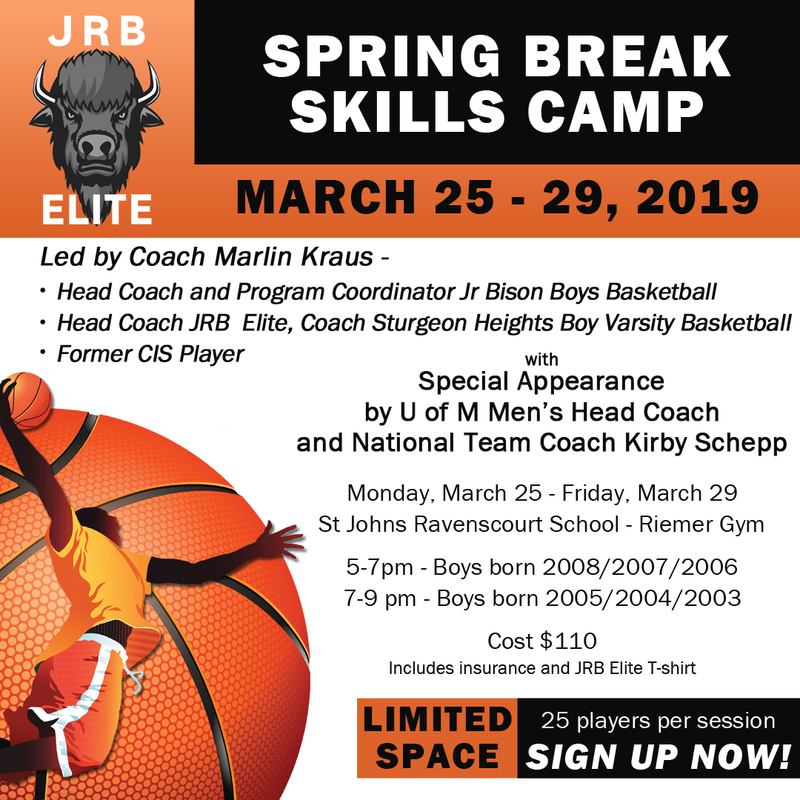 Junior Bison Boys Basketball – Jr NBA program is back for the fall of 2018. Coach Damian Drzewiec will be running the program this year at Champlain Community Centre. Saturdays 10:00am-11:00am beginning September 15th. The Jr Bison Boys Basketball Club is pleased to announce that our 2018-2019 season will be our biggest one yet. We are Manitoba’s largest and most successful club. To ensure that we remain at the front of the pack, Coach Kirby will be hosting regular coaching clinics exclusive to Jr Bison coaches. U of Manitoba Head Coach, Jr Bison Boys Head Coach and Team Canada U17 Head Coach Kirby Schepp is hosting a High Performance Camp at the University of Manitoba Investors Group Athletic Centre.